"Pd, after having done a check on the internet, we have found out the nature of your business. We are devout Catholics and we ABSOLUTELY DO NOT want to have anything to with someone who practises the occult, we ABSOLUTELY refuse to sell you or anyone connected to you any piece of real estate. Therefore, this is the last email you will be receive from us. From now on we ABSOLUTELY REFUSE ANY COMMUNICATION FROM YOU EITHER VIA EMAIL OR VIA THE PHONE. 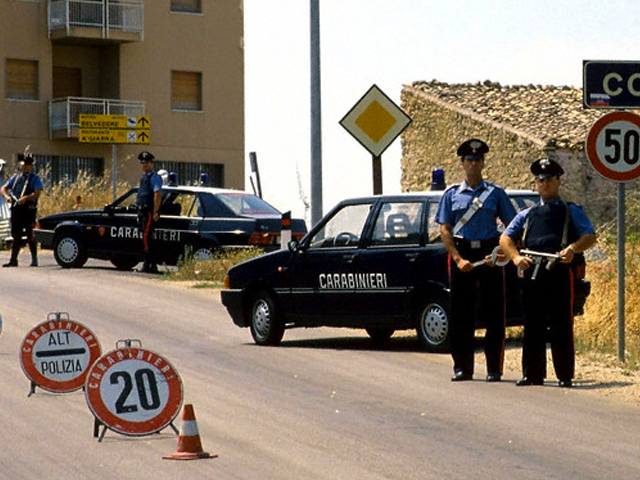 Also if you try do contact us in person in Sicily we will immediately report you to the Italian State Police (THEY HAVE ALREADY BEEN ADVISED). Praised be Jesus Christ and may God bless Our Holy Mother Mary Immaculate, and the Holy Catholic Church. AGENZIA IMMOBILIARE MY HOUSE di Giuseppina Montalbano"
First let me say that Joe Guida is BRITISH, working in Sicily, and secondly let me say that I find it a stamp of ignorance that he should end this tome with "Regards". So, the moral of the story is that with all the crime, poverty and currently one of the highest high school drop out rates in all of Europe, in Sicily, they are concerned that I may come there and do some Sorcery on them.